In Thessaloniki, students and faculty will stay at the Hotel El Greco in the center of the city on the historic Egnatia Boulevard. This hotel provides shared rooms with private baths. On Thasos, most participants will stay at Pension Archodissa, a family-owned hotel nestled on a cliff overlooking the remote Alyki Peninsula. The pension offers shared rooms and private baths. Overflow housing will be in small apartments within walking distance. Breakfast is included and several group dinners are included in the program cost. Participants will be responsible for all other meals on their own. Archodissa is one of the most famous restaurants on the island of Thasos, featuring local seafood and traditional dishes cooked daily in a wood oven. 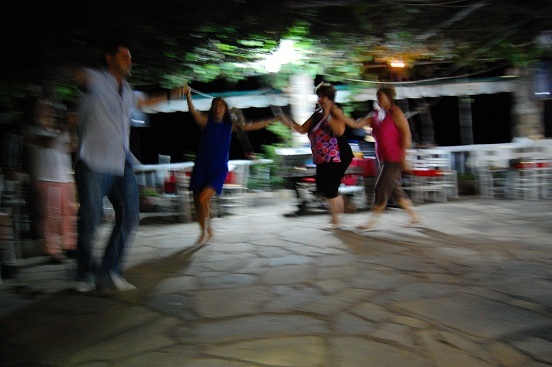 The proprietor, Tasos Kouzis, teaches traditional Greek dancing, and there is live music on the patio each Wednesday night. Greece in general ─ and Thessaloniki in particular ─ is a matchless repository of history, art and culture. 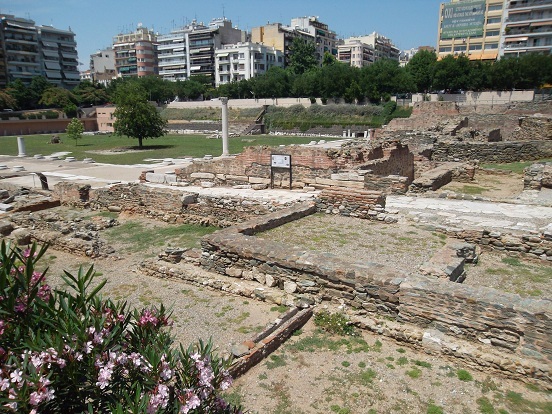 Founded in 315 B.C.E., Thessaloniki has long served as an example of peaceful coexistence among diverse cultures. Until the tragedy of World War II, Orthodox Christians, Jews and Muslims lived and thrived side by side in a city that still bears architectural and cultural evidence of those populations, as well as more recent cosmopolitan additions from throughout Eastern Europe, Africa and the Subcontinent. Besides such historical and cultural richness, the city and the surrounding regions (Macedonia and Halkidiki) are among the most lush and beautiful lands in all of Greece. Halkidiki is also home to Mount Athos (Agion Oros, or Holy Mountain) where Byzantine culture and the mystical theology and practice of Orthodox worship has continued since before the 9th century. Countless other monastic enclaves (for both men and women) are to be found throughout this region, including the Monastery of Archangel Michael, which is but 100 meters down the road from our pension on Thasos. 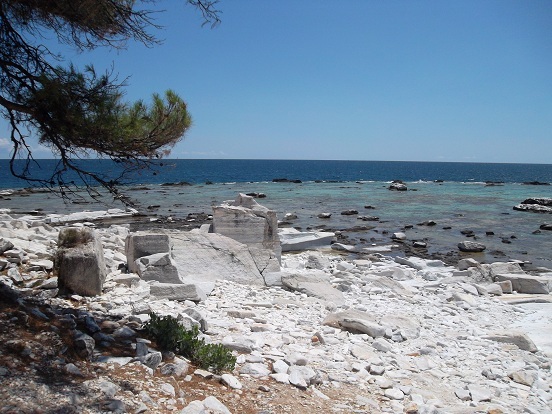 The northernmost island in the Aegean, Thasos has been famous since ancient times for its marble quarries and its rugged beauty. The island is mountainous and green, offering visitors access to pristine beaches as well as small inland villages. Travelers arrive from the mainland by ferry to the city of Limenas (also known as Thasos Town). Today, Limenas is a working archeological site, built atop and surrounded by ruins, including an impressive amphitheater and an ancient agora. From Limenas, we travel by bus to Alyki on the southern coast of the island. The mile-long peninsula is flanked by three beaches, as well as an ancient temple to the Dioscuri, an early Christian basilica, and an enormous Roman marble quarry. The island offers many opportunities for swimming, snorkeling, fishing, hiking, and exploring.